Don't Feel Like Reading Today? Here's A Quick Rundown Of The Metabo Cordless Drill Review. The Metabo Cordless Drill is a compact yet powerful drill/driver that's powered by an 18-volt 2.0Ah lithium-ion battery and is ideal for light to heavy-duty DIY tasks because it's a lightweight drill and incredibly easy to operate. This Metabo drill has a rubberized hand grip for added comfort and is very durable and well designed. A 3 year warranty is included. 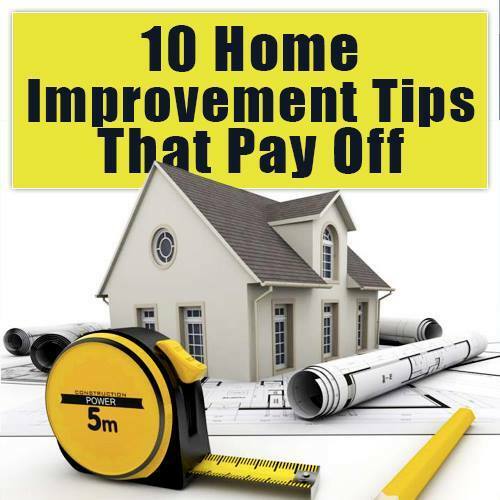 ​​​​If you like working on home-made construction projects or are professionally involved in a construction field, then having a quality drill is a must-have. A cordless drill provides you the mobility to drill holes and even drive screws wherever required, deprived of the hindrance of the cord or finding an outlet. A good drill is an essential component of any tool collection. Whatever your needs might be, there is a perfect power drill for you out there. But the main question is; what is the best cordless drill for your needs? Well, that depends on your personal preferences as well as your budgetary limits. Whenever you visit any online store to find the most suitable cordless drill for your project, it is incredibly easy to get frustrated with so many possible options to choose from such as Milwaukee drills, Ryobi ONE+ drills or Dewalt cordless drills for instance. For many beginners, it takes a lot of time trying to figure out all the beneficial features and also deciding on which brand and model is the best one to buy in your particular situation. 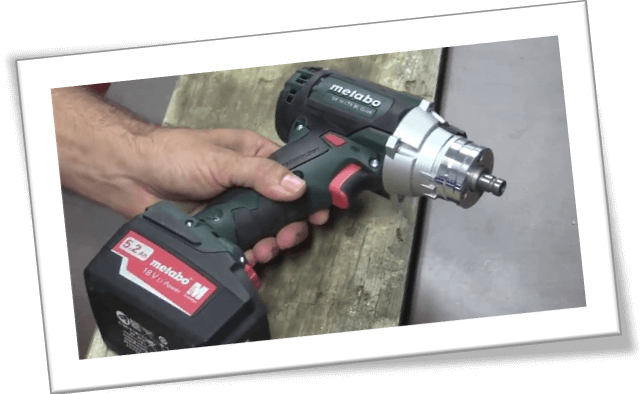 The Metabo brand is not the most renowned brand out there, but with the release of their 18V LT Quick Drill/Driver 2.0Ah –it will undoubtedly make them more famous among craftsmen and homeowners. This astonishing piece is one of the highest-quality power tools out there on the market today. Although we cannot say, it is one of the most affordable priced drills out there – retailing under $150 on Amazon.com at the time of writing. But if you mean to invest in a quality power drill which will further your ability to get your project done in a swift and efficient manner, then the Metabo 18V LT Quick Drill/Driver is the product you have been looking for. In this Metabo 18V LT Review, we are going to cover all the features and pros and cons which will help you make an informed decision before purchasing the product. Moreover, we will provide quick tips which will help you make the most of your Metabo drill driver machine. This cordless drill from Metabo is perfect for drilling through and screwing in metal, plastic, and wood. This power tool features a soft-grip handle that offers extra comfort during drilling. Additionally, this product features a very compact size which makes it easy to maneuver in the tightest or more enclosed spaces. Its lightweight design minimizes hand fatigue when working for long periods of time. The Metabo 18V LT it's dimensions are 15 x 4 x 12-inches and weighs only 6 pounds. 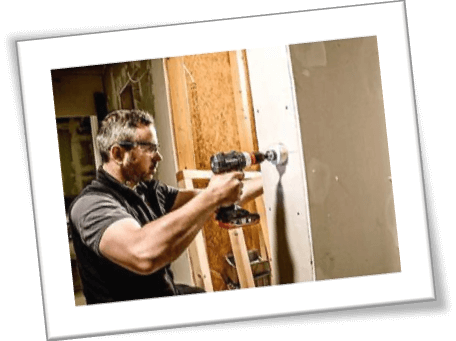 However, we cannot say this heavy-duty drill is the most lightweight unit out there, but considering its heavy-duty capabilities, it is worth considering especially if you are an electrician or HVAC professional who does lots of overhead drilling and driving. This Metabo cordless drill has received lots of positive reviews regarding its compact design, which makes the power tool handling much more user friendly. The drill also features a comfortable grip which provides you full control on any drilling or driving task. But don’t be despised by its compact design, this Metabo drill is powerful enough and very convenient when it comes to heavy-duty drilling. Moreover, its compact design combined with the tool being lightweight as such makes it incredibly easy to maneuver even in tight and enclosed spaces without getting tired. Also, it allows you to use the power tool for longer periods without the weight becoming an issue within your work. This Metabo compact drill/driver kit features a robust battery life. This device comes fitted with an Ultra-M compact 2.0Ah battery pack which provides extended runtime in its class compared to power supplied by other standard compact batteries. This drill comes with lithium-ion battery technology that makes the unit lightweight and compact. Additionally, it allows you to go about your drilling or driving task for long hours without your hands getting tired quickly. The battery charger provided by Metabo is unique – in that, it features a built-in fan intended for cooling the battery as it charges. Metabo claims that this will both shorten the charging time and it will also extend the battery life. Another impressive thing you will love is the two-stage gearbox this Metabo cordless drill offers. You can use the first gear, 0-450RPM when you need low settings and high torque for settings screws or bolts. Also, you can choose the second gear, 0-1,300RPM, when you want high operating speed and less torque, which is preferred for most drilling jobs, mainly when you’re using bits of smaller diameters. The Metabo 18V LT features a maximum torque of 48Nm. Also, there is a torque adjustment clutch for various driving and drilling applications. The quick-change attachment delivered with this cordless drill makes it easy to drill or drive in places where space is tight. Most DIY who have purchased this Metabo drill claim that they would not have been able to complete multiple projects deprived of the extra angle attachment offered by this powerful tool. These days, most cordless drills come with LED lights, and the Metabo tools are no exception. The LED light is conveniently placed – it sits on the crest of the battery housing directing the light upwards towards the working surface. The LED light is quite useful primarily if you are working in a darker area. It is bright enough, and the impressive thing is that it does not cast hard shadows the way conventionally placed lights do. On the job site, power tools tend to take severe beatings which in turn can cause sharp pains or blisters on your hands. To solve such a scenario, Metabo has provided their cordless drill with rubber bumpers on either sides of the drill’s base – which helps absorb any vibrations or impacts, mainly when maneuvering into confined or tight spaces. This is the first cordless drill we have reviewed so far where you tend to remove the chuck to reveal a 1/ 4-inch hexagon recessed spindle. This function is quite useful especially when you have to get into hard to reach areas, such as a cabinet or office desk. The removable chuck allows you to drill up to 20mm in softwood –which is more than what most of its competitors has to offer. The Metabo 18V LT sports a new battery technology referred to as Electronic Single Cell Protection (ESCP). This technology helps monitor the temperature and overall power load, which makes sure the power tool does not cause overload when using it for prolonged periods. Additionally, this Metabo cordless drill comes fitted with a handy shut off function which comes into play whenever your power drill starts to overheat. This maximizes the lifespan of your power drill no matter the job site conditions. The single integrated cells are float-mounted to extend the battery life, so you don’t have to keep recharging the batteries all the time. Something else you should be aware of is that this power tool is engineered in Germany. So you can be assured of quality with a compact drill/driver that is perfect for working overhead, in small places, and for extended periods of time. This Metabo drill also comes fitted with a 4-LED capacity indicator which lets you know the charge status of your battery, from 25 percent to 100 percent. Hence ensuring that you don’t run out of juice while in the midst drilling through holes or fastening the screws. The capacity indicator function makes this cordless drill more reliable and ideal for DIY professionals who have a lot of drilling and driving to do. So, as long as you pay attention, you will never run never run out of battery while drilling. All Metabo tools come with a fantastic three-year warranty that covers everything, including the tools, chucks, chargers, and batteries. Battery gauge feature ensures you never stop mid-drill again. The battery life is incredible. Rubberized hand grip for added comfort. Comes with built-in LED lights so you can work in dark spaces. Powered by 18-volt 2.0Ah lithium-ion battery. Ideal for light to heavy-duty DIY tasks. Comes with a three-year limited warranty. The spindle is not magnetized. The Metabo brand is becoming more famous in the power tools industry, thanks to the overall design of devices like the Metabo 18V LT Quick Drill/Driver. They know a thing or two as far as cordless drills are brought into the equation, and with their battery technology which is lightweight and long lasting, it means this device is hard to compete with in today’s market. If you are on the hunt for a cordless drill which is not going to bow down no matter what challenge you throw to it, then the Metabo 18V LT is worth the consideration. Hope you find our Metabo cordless drill review helpful. You can also check out what other customers are saying about the drill on Amazon before making an informed decision. Still not sure which cordless drill to buy? Make sure to check out our cordless drill tool guide or compare the best cordless drills on this page, hope this helps you make an informed decision.